GPSisUS and Mobile Tracking and Consulting Services have partnered with Peak PTT to offer our customers the very latest in Radio technology. The Everest Series Radios now include both a built-in camera system and WIFI! Everest Radios from Peak PTT is capable of handling deployments of any size. The Everest ecosystem is comprised of a variety of rugged IP67/68 dedicated PTT handsets. The Everest PTT system maintains five 9s of network availability, as well as better message delivery and lower latency rates than some of the most significant players in the industry (especially when speaking of talk groups over 100 users in size, speed matters). The Everest PTT System also provides a PC based dispatch console from which you can locate devices on demand and view on a map, as well as manage and handle SOS emergency events. 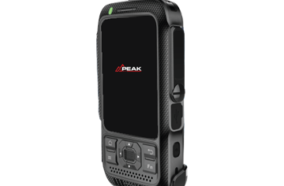 The Model Peak PTT-584G is a rugged dedicated push to talk handset that operates on our Everest Push-To-Talk platform and supports 4G/LTE and is 3G backward compatible. WIFI connectivity offers PTT services anywhere in the world you have a connection. •	IP67 Rated – Waterproof rated to 3.3′ feet immersion for 30 minutes. •	Accessory Interface – For a Variety Of Accessories, Remote Speaker Mic, Surveillance Headset, etc.